India is increasingly interested in studying climate change in Norway’s far northern archipelago of Svalbard, which could help Indian scientists better understand changes in the Himalayas. 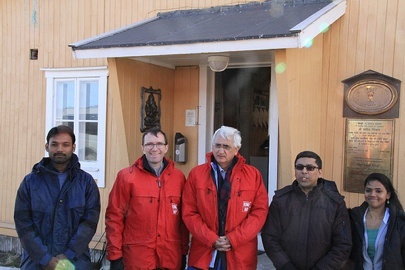 India’s foreign minister Salman Khurshid visited Svalbard this week, enjoying his country’s fresh observer status on the Arctic Council. 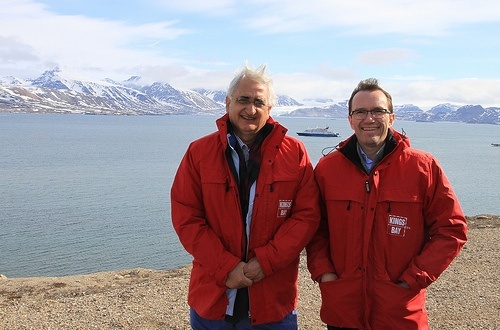 Along with Norwegian Foreign Minister Espen Barth Eide, Khurshid visited the main Svalbard city of Longyearbyen, and met Indian researchers in Ny-Ålesund. India has its own research station nearby. In 2006 Norway and India signed a bilateral research agreement providing for Indian PhD students to study at the University Centre in Svalbard (UNIS). Svalbard may be a long way from India, but it offers unique opportunities to study global climate systems and climate change, enhancing India’s understanding of the changes taking place in the Himalayas. The Arctic Council consists of Norway, Canada, Denmark, Finland, Iceland, Russia, Sweden and the US. In May those core members agreed to include India, China, Japan, Italy, South Korea and Singapore as observers.